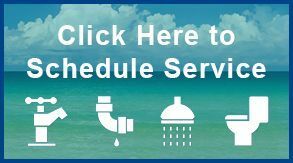 Professional Plumbing & Design offers Residential and Commercial plumbing and repair, serving Sarasota, Bradenton, Palmetto, Venice, and the surrounding communities. 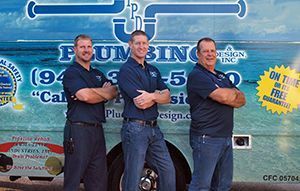 Professional Plumbing & Design has been offering Residential and Commercial Plumbing services to Sarasota and the surrounding areas including Bradenton, Palmetto, and Venice for over 25 years. If you are looking for a reliable plumber, we would like to earn your business! From a simple faucet repair to more complex sewer and drainage issues, Professional Plumbing & Design can handle any plumbing job, large or small and, if something unexpected happens in the middle of the night, you can count on us to resolve your plumbing emergency, promptly and professionally. 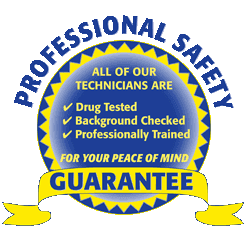 We are licensed, bonded, and insured plumbing contractors and we specialize in a full range of plumbing services including water heater repair and replacement, jet drain cleaning, video inspection, leak detection, and re-piping. Professional Plumbing & Design has the tools and expertise to handle larger plumbing projects like condominiums, restaurants, retail stores, and factories. Our plumbing contractors work closely with local Property Managers to ensure their unique plumbing needs are met. 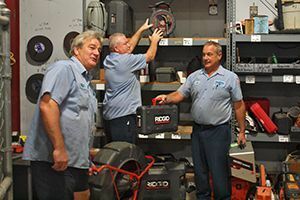 Our plumbers are so certain that you will be satisfied with the services performed by our team that we stand behind all plumbing work performed with a 100% Satisfaction Guarantee. If you are unhappy for any reason, we will re-do your plumbing repair for free! Need a plumber? Call the Professionals!